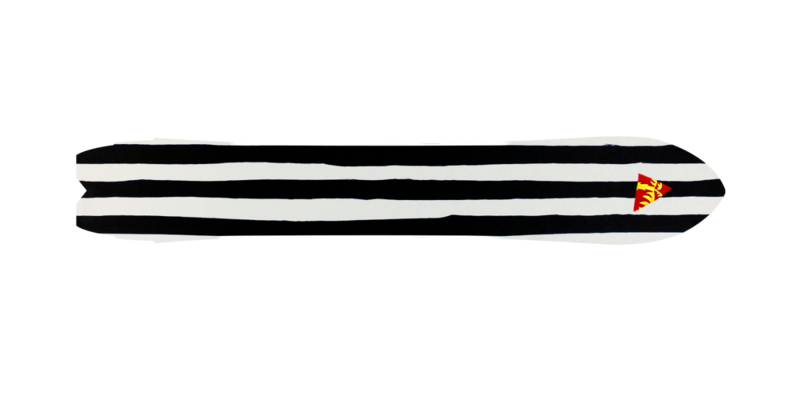 A unique 173 cm long powder snowboard with double winger fish tail. The POGO wingerguns introduce you to a unique powder experience. 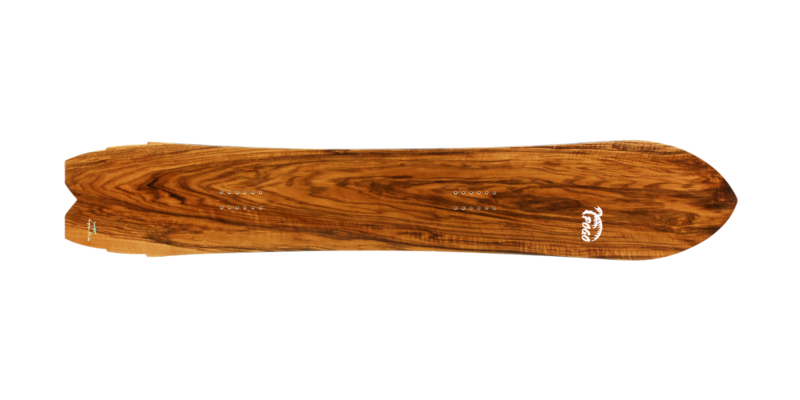 These boards float, ride stable and turn agile in every powder terrain. The Wingergun 173 is the all-mountain version of our wingergun series; ready for whatever, wherever and whenever. 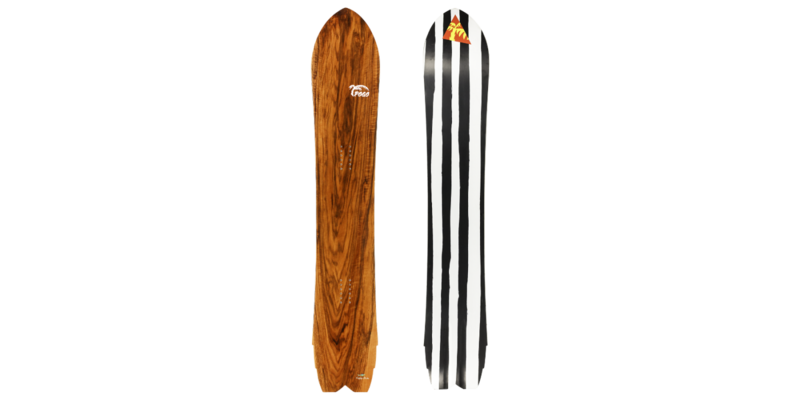 This makes it a great choice for the Pogo splitboard option. 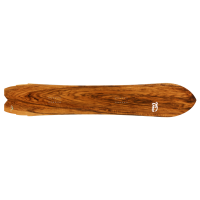 In detail, this handcrafted snowboard offers a classic camber profile combined with a long and clever shaped nose rocker. The winger cutouts and small fish tail let your tail sink to improve the float. This way you can enjoy huge amounts of powder yet also ride shallow powder terrain. On top, the cutouts let your board turn quick and surfy, regardless if you're in a tight couloir or riding between trees. Besides letting you turn faster, the rockered tail also grants you the option to ride fakie whenever necessary or when you want to. 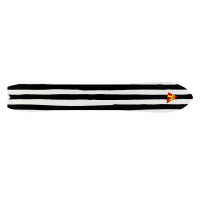 The flex of the board is lively and responsive; enjoy high and easy ollies and still get the right performance when going fast in challenging terrain. The lively and soft flex, makes the board a good option for lighter riders or anyone looking for a softer board. While the Wingergun is optimized for the use in powder, the board will also dominate in harsher snow conditions. We spare you the construction details here, we just guarantee you a light, durable and fast board. 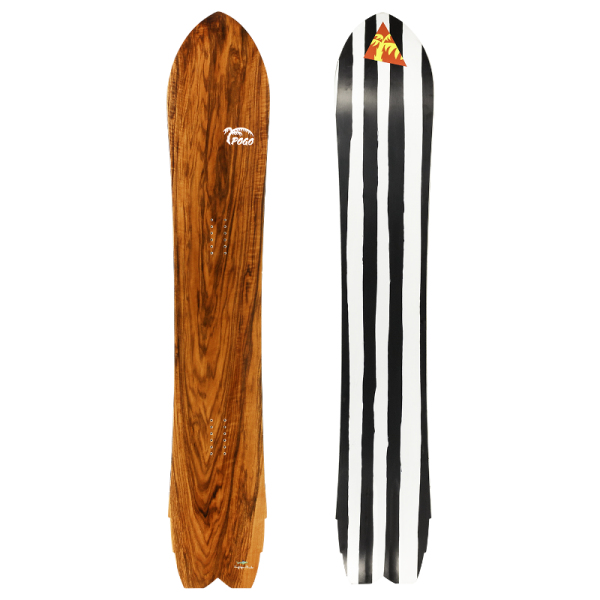 The topsheet is real pear veneer. The Pogo logo and a little shark as a tribute to the Fishtail series are real mother of pearl inlays. For the durability of our boards we stand with a free life-long repair service. If you want to experience the qualities of this board yourself, feel free to take advantage of our Testboard Service. More infos here.